Covers your vehicle with conditioners and gloss enhancers. 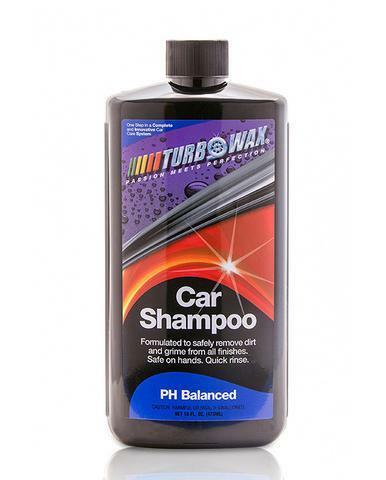 The thick suds our car shampoo safely releases the dirt and grime from your vehicle finish. The Turbo Wax Car Shampoo is a gloss-enhancing shampoo. In addition to cleaning the surface of your vehicle, it increases the gloss and slickness giving you that “Show Room” shine! *1/2 ounce of shampoo per 3 gallon of water!